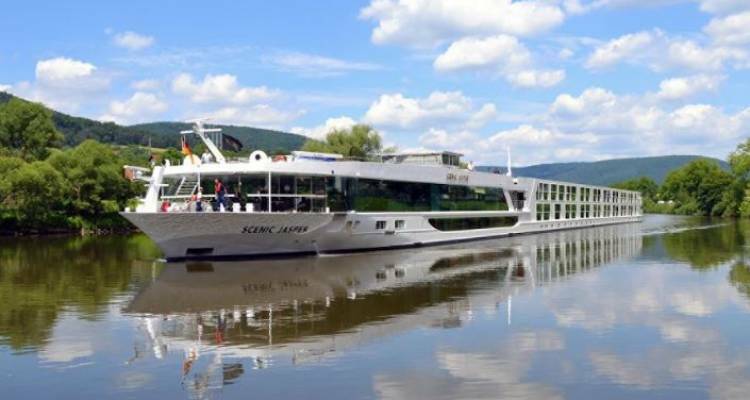 4 decks, 169 guestsand 53 passionate crew members that will do anything to ensure an unforgettable cruise along the Danube River for anyone who wants to explore Europe on water. This is Jasper, a luxurious sailing vessel that has been built in 2015 and which never stops impressing its guests with flawless services, stunning landscapes and a wonderfully warm atmosphere. 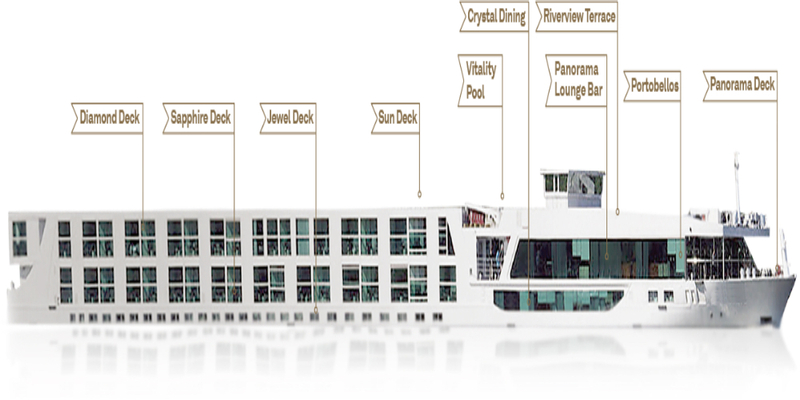 Royal Panorama Suite RP - 44m2/475 sq. ft.
Royal Balcony Suite RP- 33m2/360 sq. ft. Junior Balcony Suite RJ, BJ - 22m2/240 sq. ft.
Standard Suite E, D - 15m2/160 sq. ft.